Traditionally extracted from the first press of mustard seeds, our purest form of mustard oil, is made with the best mustard seeds in a temperature-controlled environment. 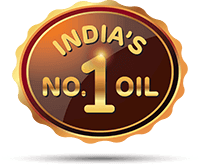 Fortune Filtered Mustard Oil comes with a high pungency level and strong aroma. Being pure, it retains the natural properties of mustard, enhances the flavour of your dish and helps keep pickles fresh for longer.